Take a pair of pretzels, add some paper witch shoes to the ends, and stick them into the green frosted cupcakes. 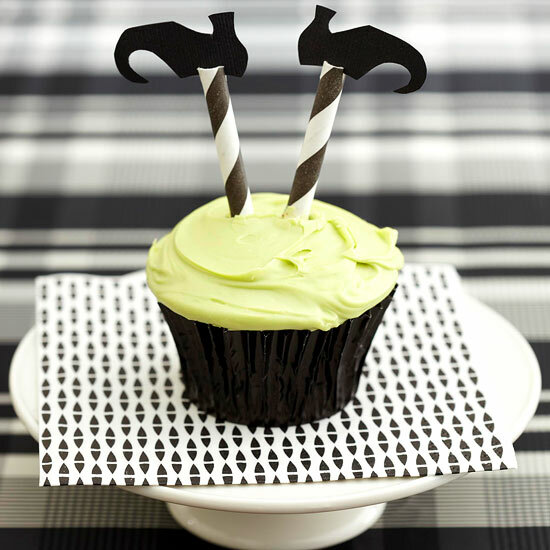 Voila, you’ve got an easy upside witch cupcake! I like all the food ideas but the chocolate spider cake looks really yummy..